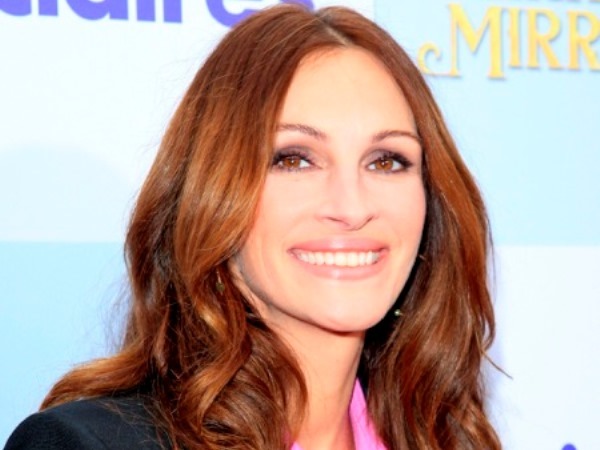 Julia Roberts loves to "feed" people. The August: Osage County actress says her number one hobby is rustling up nourishing meals for her family - twins Hazel and Phinnaeus, son Henry, and her husband Daniel Moder - even though she sometimes resents being taken for granted in the kitchen. Speaking on UK TV show Lorraine, she revealed: "I do love to feed people! I love to eat, and I love to cook and I love to feed people. To me it's the more the merrier. It's something that I enjoy doing. Like a lot of moms out there, by the third meal of the fifth day of the week you feel like, 'Can't someone else take over?' But I do love doing it." Julia (46) has taken time off in recent years to concentrate on raising her family and while she was overjoyed to work with Meryl Streep on their Oscar-nominated new drama, being apart from her family during filming was incredibly hard. The Pretty Woman star said: "They're so great, I was very happy to come home when we finished filming. My daughter refers to the making of this film as 'the dark time'. We all have our different needs and points of view. As a wife, mother and person who works in my home, I get to be very creative." Julia also admits she feels like closer to her daughter Hazel since watching her own mother develop a special bond with the nine year old. She reflected: "It would keep me up sometimes at night thinking, 'What if I ruin [Hazel]?' We all do what we can. I'm lucky that I have a very sweet relationship with my mother and I'm able to have a whole new relationship with her now thought the eyes of my daughter, who is very fond of her. "I watch their closeness and it reshapes my whole relationship with her. That's one of the beautiful things about having children, I think."